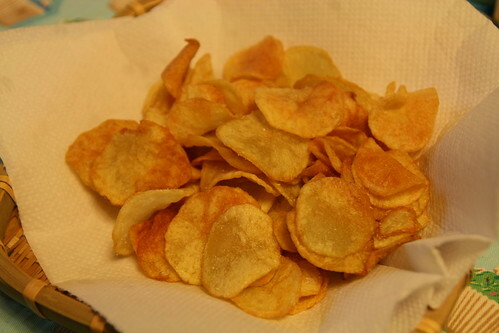 More experiments in the kitchen last week, this time homemade crisps courtesy of my wife. Very unhealthy, but incredibly tasty. wow, they look like they came right out of the bag! That's amazing! 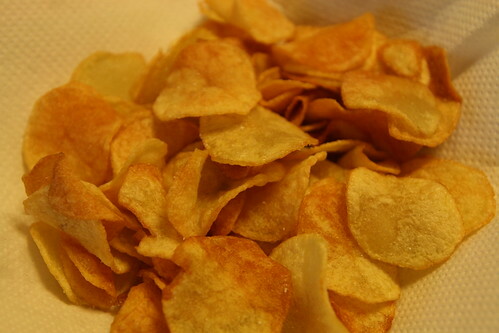 My wife has many hidden talents, crisp making seems to be one of them.